Stay tuned to 88.3 WAER for live coverage on all of today's regional elections. 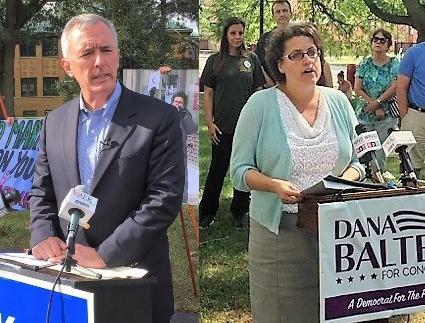 Democrat Dana Balter and Republican incumbent John Katko are running for the Congress in the 24th district. Dana Balter speaks to the press ahead of Tuesday's election results. At around 10 AM, Balter walked out of the Bishop Harrison Center in Syracuse after casting a ballot for herself. Standing outside the church and surrounded by family members, the first-time candidate gave her closing arguments for why to side with her in today’s election. 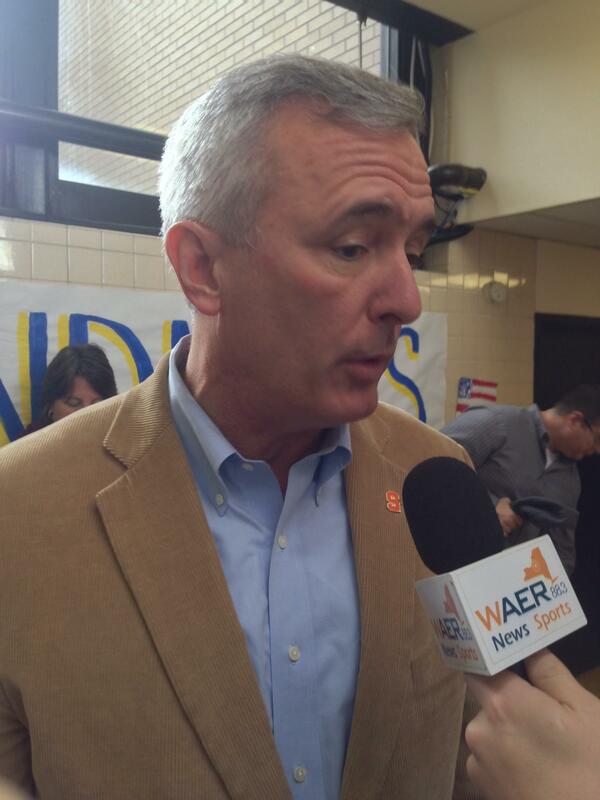 Incumbent Congress-member John Katko also had a message for Central New Yorkers when we caught up with him today at the Our Lady of Pompei annual spaghetti supper. John Katko speaks at at the Our Lady of Pompei annual spaghetti supper leading up to election night. We'll likely know by tonight whether Katko will win a third term in Congress, or if Balter can unseat him in the so-called "blue wave." November 6th is the day when voters in the 24th congressional district decide to stick with two-term incumbent Republican John Katko or join what could be the so-called “blue wave” by electing a political newcomer. 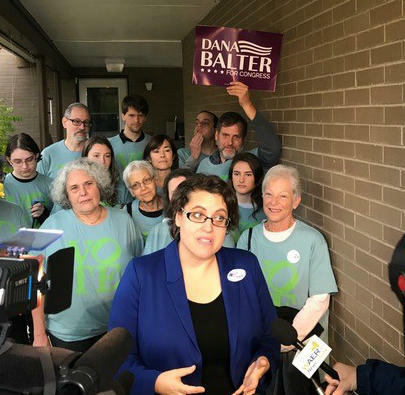 New York's 24th Congressional district will either vote to keep Republican John Katko for a third term or replace him with progressive political newcomer Dana Balter.